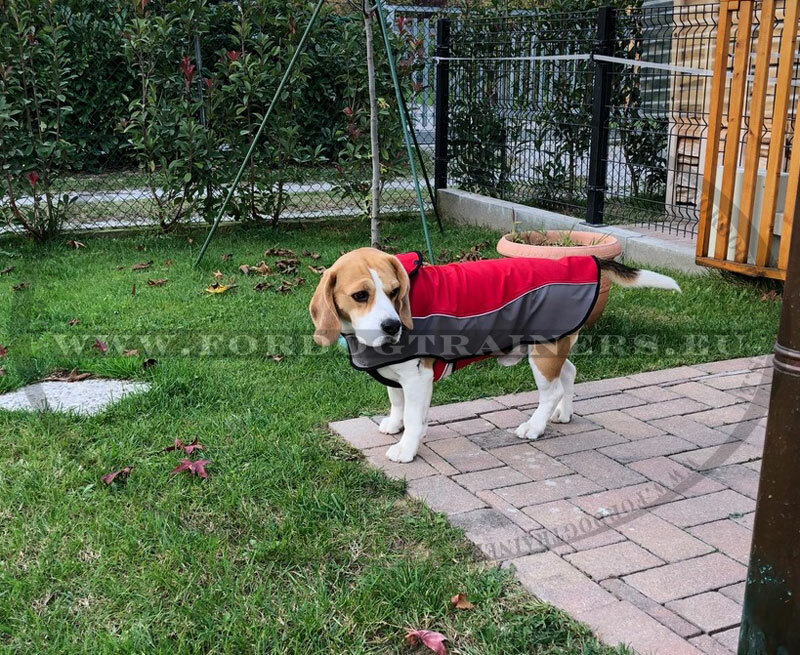 In Great Britain, Beagles are still used not only as pets, but also for hunting. 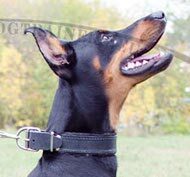 In other countries, they are more often companion dogs, but sometimes they are entrusted with responsibility to search for explosives at airports and at customs. Representatives of this breed are distinguished by intelligence and ingenuity. They are very inquisitive and need their owner to care for them. Nevertheless, they are not so easy to train. Start early and never stop - these dogs are food motivated and will never grow tired of getting a treat. 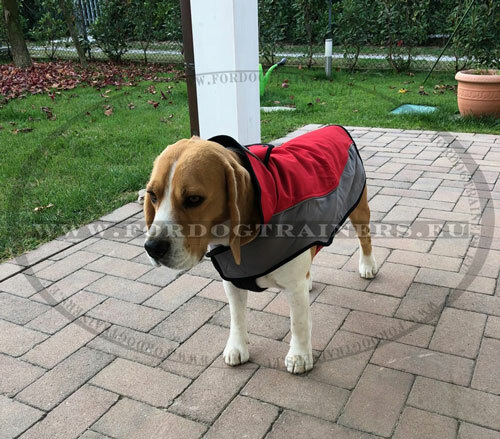 As Beagle is short-haired, he definitely needs some coat to protect him from cold winter snow and winds. 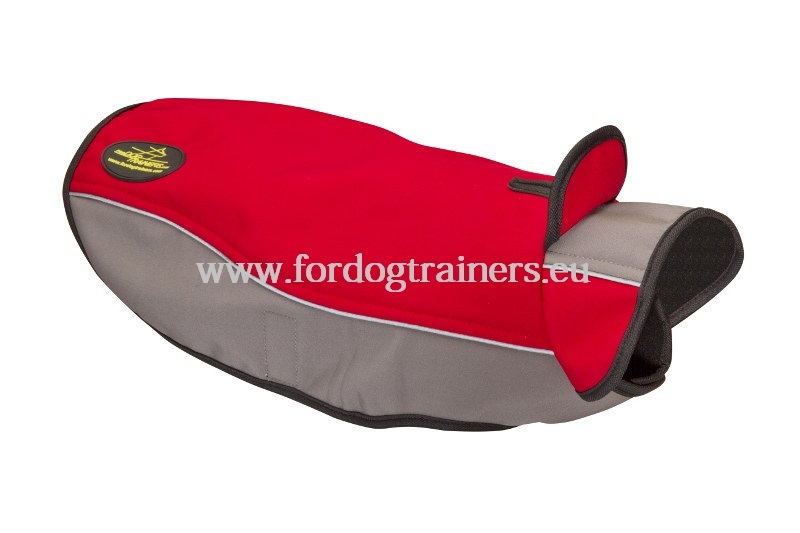 We suggest you to consider our All-weather Nylon Dog Coat, available in various sizes. 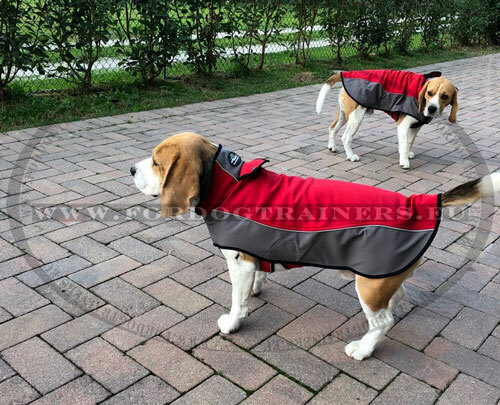 The coat can cover the most of your pet's body up to the tail, and this is achieved thanks to the skilful work of our craftsmen. As Beagle needs long and active daily walks, winter or cold will not prevent you from providing for the necessities of your four-pawed friend. This coat is made of warm water-resistant and safe materials, which guarantee comfort and warmth for your pet dog. Get warm clothes for yourself - leave your pet clothing for professionals! 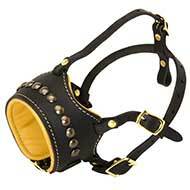 See other Extra-comfortable Harnesses for Dogs, handcrafted dog leads, decorated walking and training leather dog collars and other outstanding products for your dog in our on-line pet store!